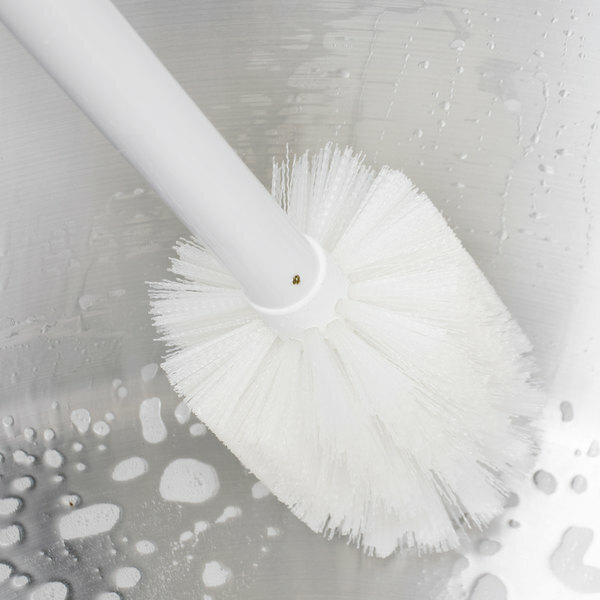 Whether you're cleaning restroom facilities, hard-to-reach parts of equipment, or around pipes and hook ups, this Carlisle 4000702 all purpose cleaning brush cleans in all directions to get the job done quicker! 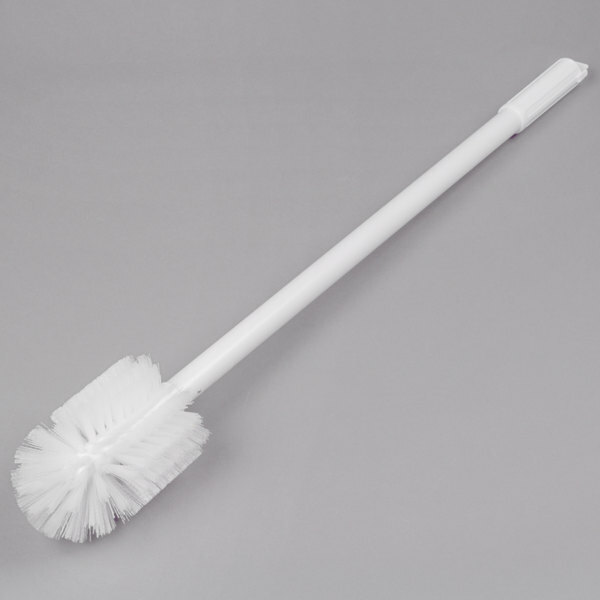 This brush features an oval head with a 4" diameter, making it versatile enough for a variety of cleaning tasks. 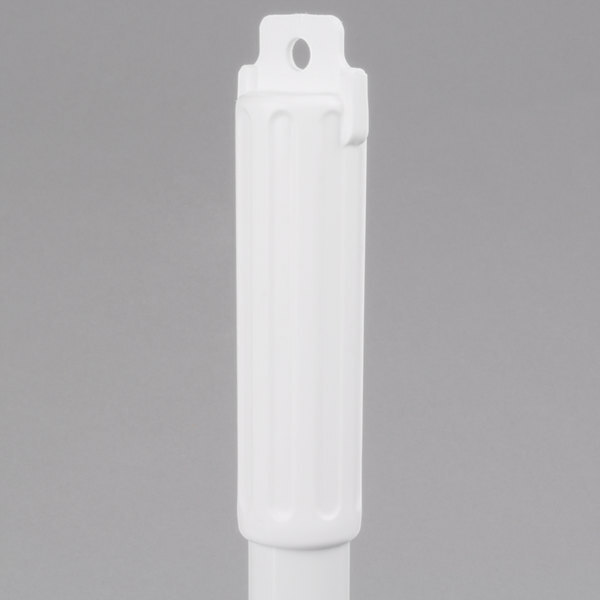 Its medium stiff polyester bristles are ideal for aggressive cleaning, while their white color allows you to use this brush as part of the color-coding system found in many HACCP plans to promote food safety and sanitation. 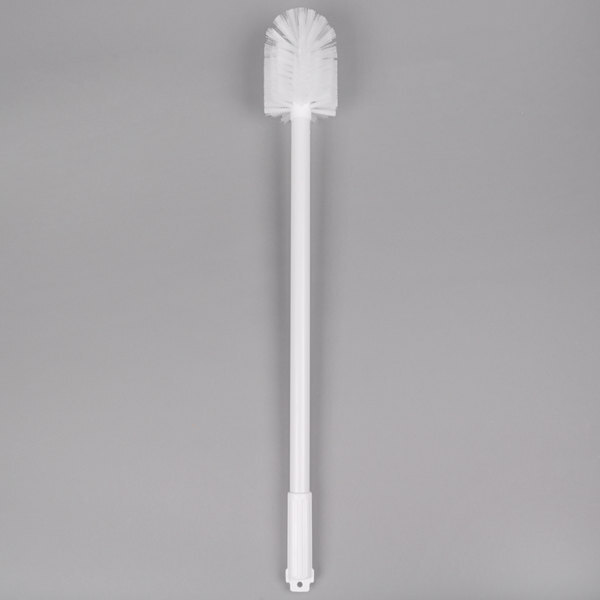 The bristles and 30" resin handle are both made of FDA approved materials. We use these brushes for cleaning out stainless steel creamer pitchers. The handle is a gold length, and the brush head is the right size. The bristles do tend to flatten out after a while though, but that is to be expected with use. The Carlisle 4" brush is definitely an all purpose cleaning brush. 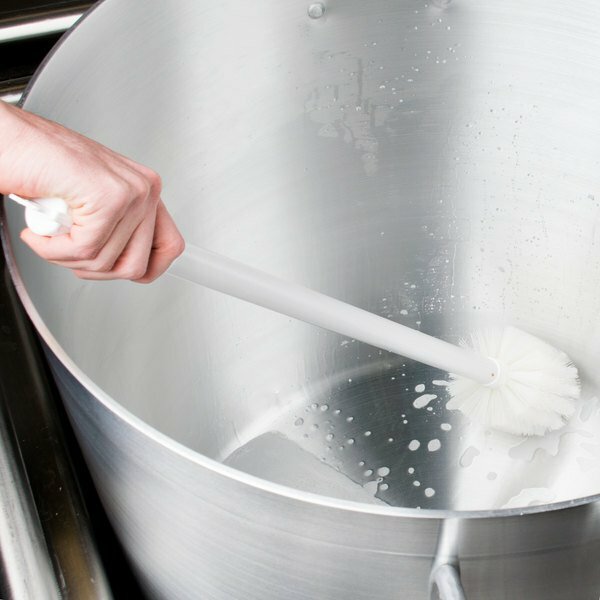 It is used in part of the cleaning process for our soft serve ice cream machines. The diameter of the brush and the length of the handle make it a great tool to use for this purpose. We got this for our 15 stainless cold brew kegs and brewer. It reaches all the way to the bottom which is great but I do wish it had foam instead of nylon bristles. The Carlisle all purpose cleaning brush with 30" handle is awesome. It is easy to reach up and clean the backsplash in the kitchen and is great for scrubbing.